Don't miss An Evening with Dame Diana Rigg. This rare close encounter with the writer and broadcaster Edward Seckerson will leave no stone unturned – or in the words of her hilarious collection of the worst reviews ever – No Turn Unstoned. 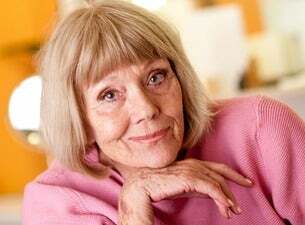 Rigg’s extraordinary career has spanned decades – from appearing in The Avengers as Emma Peel to Game of Thrones as Lady Glenna Tyrell. Last year she earned a Tony Award nomination after returning to Broadway in a revival of Lerner and Loewe’s My Fair Lady. Rigg has worked with all the greats, including Paul Schofield and Laurence Olivier, the former when she was barely out of The Royal Academy of Dramatic Art, and has originated two plays by the legendary Tom Stoppard. Hollywood cast her opposite the great George C Scott and she’s rubbed shoulders with the likes of Elizabeth Taylor and Leslie Caron.